MEXICO CITY (Sputnik) - Venezuelan President Nicolas Maduro has called the latest West's missile strike on Syria a "criminal act." According to Maduro, those "dogs of war" who need weapons and engaged in fighting for enrichment at the expense of those killed, are responsible for this missile strike. 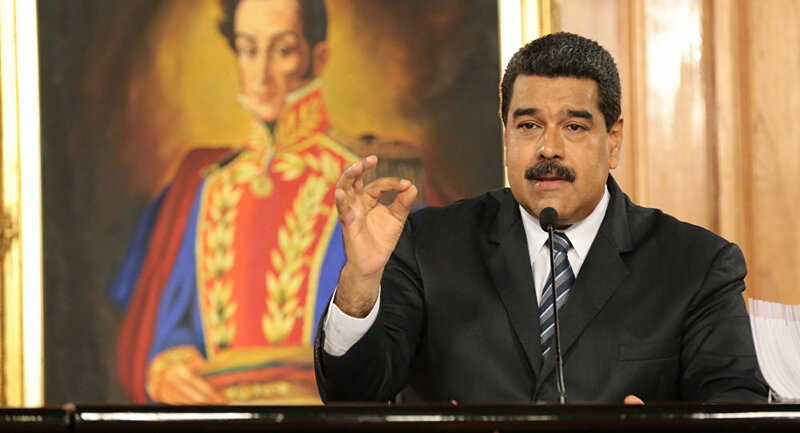 "We say that this attack is a criminal act against the people of Syria, which was carried out with the aim to create panic and terrorism and destroy the scientific centers of the country," Maduro said in a televised statement.